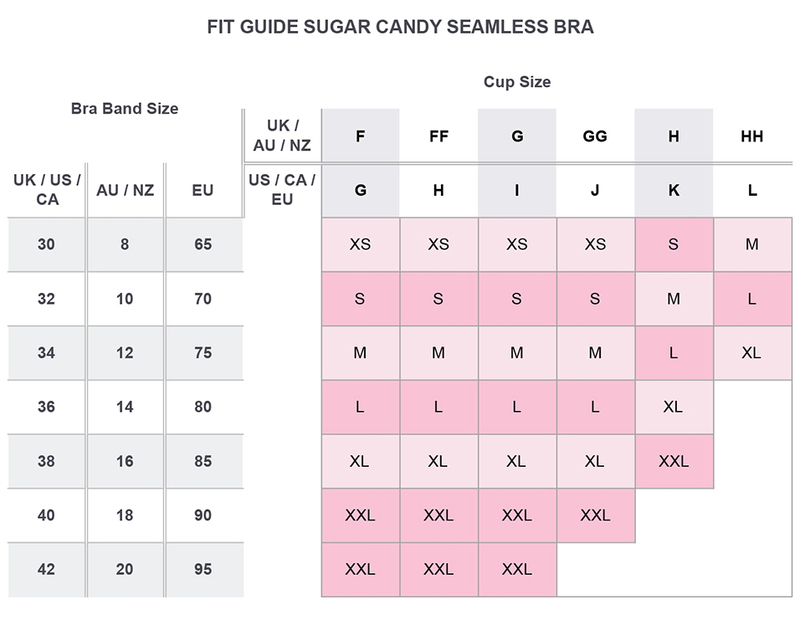 The Cake Sugar Candy Seamless Fuller Bust Everyday Softcup G-L #28-8005 offers seamless support in a molded cup design. This bra features folding edge side support slings and molded cups for depth and shaping. Best of all, the soft lockstitch knit is even comfortable enough to sleep in.